Archbishop William E. Lori announced today that Cardinal William H. Keeler, 14th Archbishop of Baltimore, died early this morning at St. Martin’s Home for the Aged in Catonsville. He was 86. Funeral arrangements will be announced once they have been finalized. Born in San Antonio, Texas, March 4, 1931 to Thomas L. Keeler and Margaret T. (Conway) Keeler, William H. Keeler was raised in Lebanon, Pennsylvania. He attended St. Charles Seminary in Philadelphia and the Pontifical Gregorian University in Rome, and was ordained to the Catholic priesthood July 17, 1955, in the Church of the Holy Apostles, Rome. As a young priest, Father Keeler accompanied Bishop George Leech of Harrisburg to Rome for the Second Vatican Council. Then-Father Keeler, a doctor of canon law and defender of the bond in the diocesan tribunal, would be appointed one of more than 400periti (experts) of the Council. He attended each of the four periods of the Council totaling nine months during the years 1962-1965 listening to discussions, reviewing documents, and providing briefings for the English-speaking media. He would be ordained an Auxiliary Bishop for the Diocese of Harrisburg on September 21, 1979 and installed as the Bishop of Harrisburg on January 4, 1984. Bishop Keeler was appointed 14th Archbishop of Baltimore, the nation’s oldest diocese, in 1989, succeeding Archbishop William D. Borders. Pope John Paul II appointed Archbishop Keeler to the College of Cardinals in November 1994, making him the third Archbishop of Baltimore to receive the red hat, joining Cardinals James Gibbons and Lawrence Shehan. An influential participant in a wide range of national and international issues, Cardinal Keeler was elected President of the National Conference of Catholic Bishops, now the U.S. Conference of Catholic Bishops (USCCB), in 1992, after having served as the organization’s Vice President the previous three years. As part of his work with the USCCB, Cardinal Keeler developed a reputation for effectively building interfaith bonds. He is particularly noted for his work in furthering Catholic-Jewish dialogue, a distinction that earned him the appointment of Moderator of Catholic-Jewish Relations for the USCCB. He served as a member of the International Catholic Orthodox Commission for Theological Dialogue and Chairman of the U.S. Bishops’ Committee for Ecumenical and Interreligious Affairs. In his latter role he was instrumental in arranging Pope John Paul II’s historic 1987 meetings with Jewish leaders in Miami and with Protestant leaders in Columbia, S.C. Cardinal Keeler was also appointed by the Vatican to the Pontifical Council for Promoting Christian Unity and to the Congregation for the Oriental Churches. An ardent promoter of the Church’s teaching on the sanctity of all human life, Cardinal Keeler twice served as Chairman of the U.S. Bishops’ Committee for Pro-Life Activities and testified at all levels of government on legislation ranging from abortion to euthanasia to capital punishment. Since coming to Baltimore, one of Cardinal Keeler’s priorities was the strengthening of the Catholic school system. The Cardinal created and led several fundraising campaigns, including the Archbishop’s Annual Appeal, Heritage of Hope, and Partners in Excellence – all of which contributed significant financial support to Catholic schools and to families they serve. The Partners in Excellence scholarship program, now in its 18th year, has provided 23,500 scholarships to at-risk children, totaling more than $25 million. The Appeal ($96 million) and Heritage of Hope ($133 million) have also raised critical financial support to sustain and grow parishes, evangelization programs, and the work of Catholic Charities. Among the many accomplishments of Cardinal Keeler during his tenure as Archbishop of Baltimore were the historic 1995 visit of Pope John Paul II to Baltimore and his leadership of the restoration of America’s First Cathedral, the Basilica of the National Shrine of the Assumption of the Blessed Virgin Mary in Baltimore. The Cardinal, understanding the significance of the Basilica, led a worldwide fundraising campaign to help finance the much-needed renovation of the first Catholic cathedral in the United States. Over 80 percent of the restoration involved updating the Basilica’s aging infrastructure. Work to restore the Basilica began in 2004 and was completed in November 2006 in time for its 200th anniversary. In 2005, following the death of Pope John Paul II, Cardinal Keeler participated in the Papal Conclave which resulted in the election of Pope Benedict XVI, making him the second Archbishop of Baltimore to participate in a Conclave (Gibbons). In October 2006, Cardinal Keeler was seriously injured in a car accident in Terni, Italy, in which the Cardinal’s friend, Fr. Bernard Quinn of the Diocese of Harrisburg, was killed. The Cardinal sustained a broken ankle and would subsequently be diagnosed with Normal Pressure Hydrocephalus, a condition that possibly resulted from trauma suffered in the car accident. He would undergo surgery at Johns Hopkins Medical Center in June 2007. In July, the Cardinal’s resignation was accepted and Archbishop Edwin F. O’Brien was appointed 15th Archbishop of Baltimore. The Cardinal is survived by his sister, Julia Keeler, of Toronto, Canada. Third Archbishop of Baltimore to be named to the College of Cardinals (1994, Gibbons, Shehan). 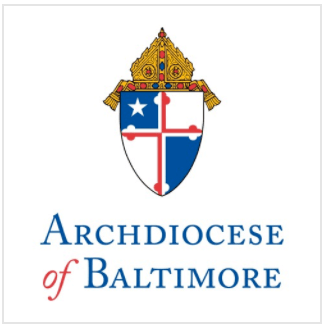 Second Archbishop of Baltimore to participate in a Papal Conclave (Gibbons). First Archbishop of Baltimore to host a visit from a sitting Pope (John Paul II, 1995) and first to serve as President of the U.S. Conference of Catholic Bishops (1992-1995).